I traced several (very carefully) on my fabric and cut them out with my scissors. 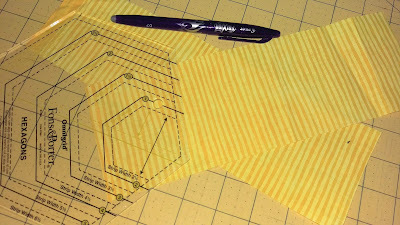 Then I set the template over the top to make sure their size was correct. Second: Place your template over your fabric making sure design is in the center. 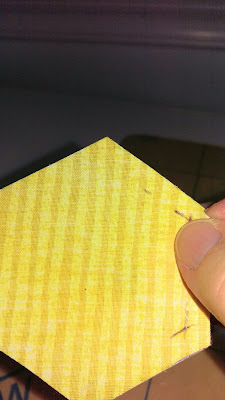 Trace and cut. 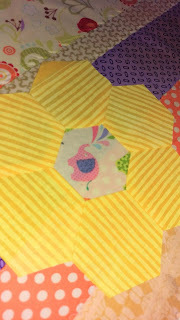 Third: With fabric pen, mark an x 1/4" in from two corners (do this on all six hexies). 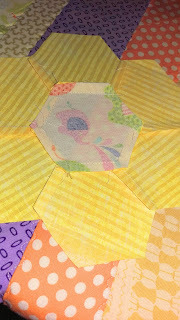 Fourth: With right sides together sew fussy cut and first hexy together in between the two x's. 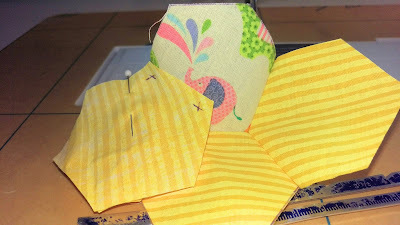 Sew the next one to the fussy cut in between the x's. You may have to unpick and do a little adjusting to make sure there are not puckers, after you make a couple it does get easier. 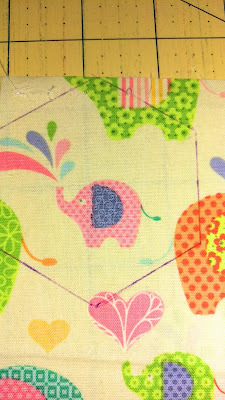 Fifth: After they are all sewn around fussy cut, check and make sure that there are no puckers or missed stitches. Then press seams on wrong sides. You will make eight of these. Cut eight fussy cut squares with side lengths of 4 1/2"
and two, 40 1/2 x 4 1/2"
and two 44 1/2 x 2 1/2"
Seven: Center finished hexy on 8 1/2" square and applique down. 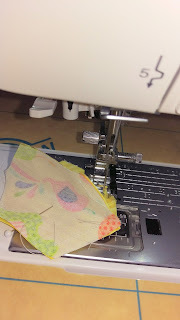 I did mine on the machine using a blanket stitch, but you could do them by hand or use a zig zag stitch. 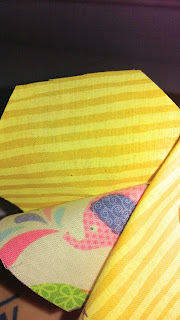 Eight: On each of the eight 4 1/2" squares, sew a 4 1/2 x 2 1/2" strip to opposite sides, and press. 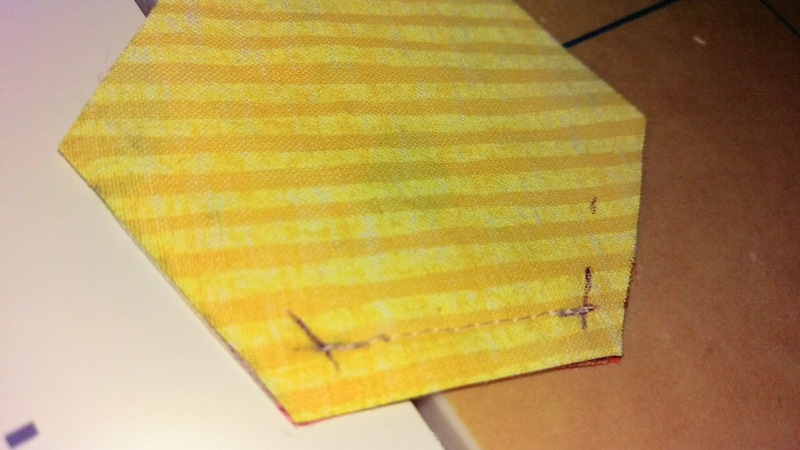 Then sew an 8 1/2 x 2 1/2" onto the other two sides and press. 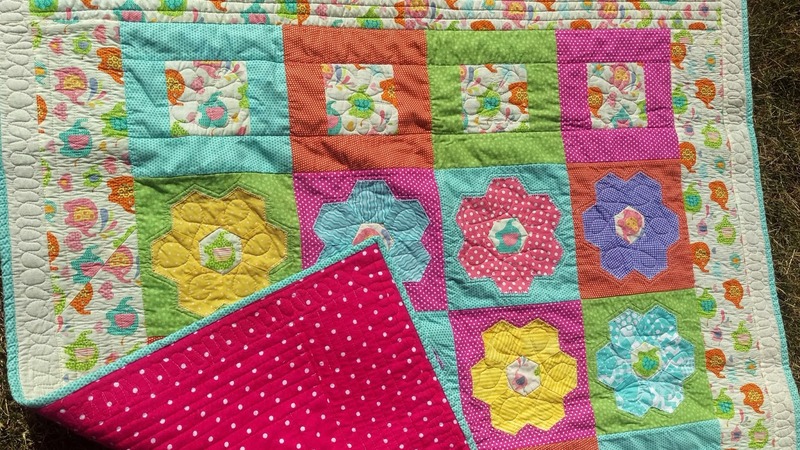 Do this for all eight squares. 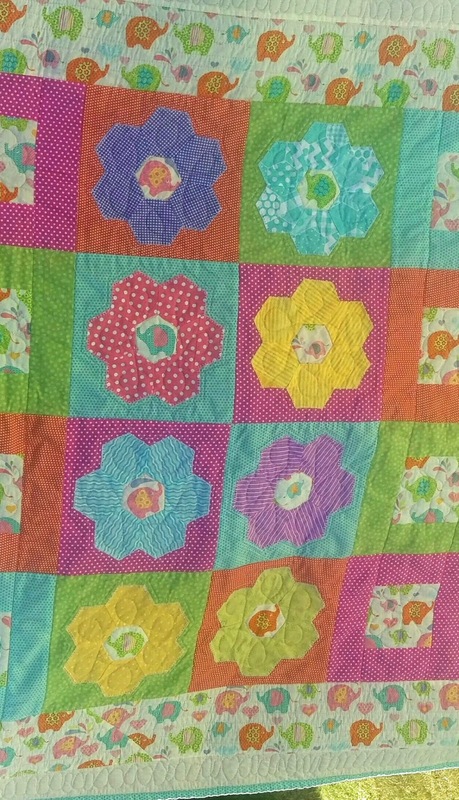 Nine: Lay quilt out on design wall or floor to position colors to your liking. It should be a column of squares, a column of hexies, another column of hexies and a column of squares. 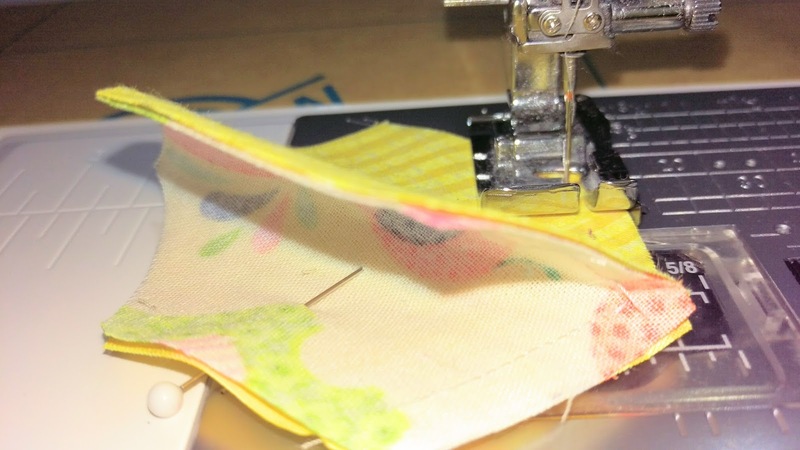 Twelve: Layer with batting and back and machine quilt yourself or pay someone else. 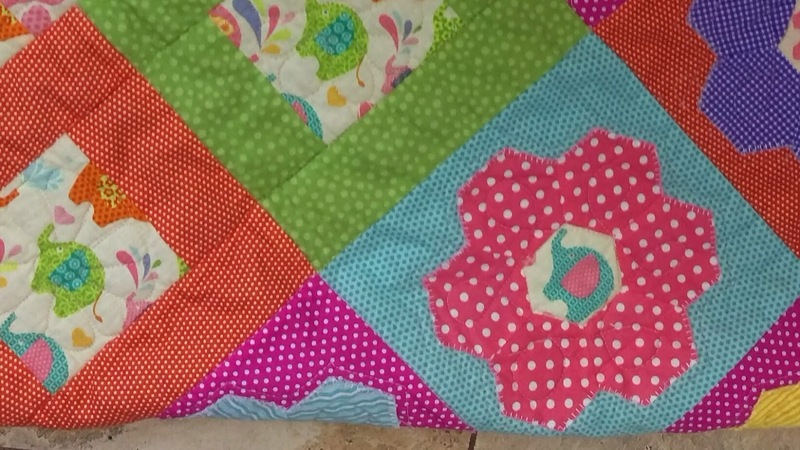 I am practicing my walking foot and free motion quilting as often as possible. Long way from professional, but I enjoy learning. That is sew cute and very clear tutorial to complete it!!! I'm working with much larger hexies but find it quite fun to assemble them by machine (You get quite good at "eyeballing" the start & stop points!). Great post! Ha! I love how you used the word 'sew'. Thanks, I hope you are having sew much fun!